A glacier in Greenland that was previously one of the planet's fastest-shrinking is now growing, according to a new NASA study. Greenland ice and climate scientist Jason Box, who was not part of the study, told The Associated Press that the finding "was kind of a surprise." "We kind of got used to a runaway system," Box said. 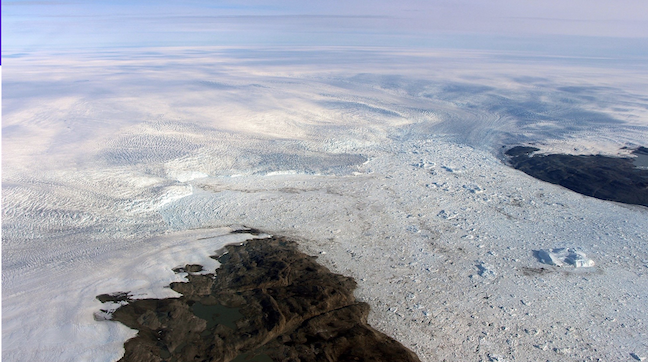 Box told the AP that the glacier is "arguably the most important Greenland glacier because it discharges the most ice in the northern hemisphere." One author of the study, NASA climate scientist Josh Willis, said that the glacier's growth is "good news" in the short term but bad news in the long term because it reveals that ocean temperature plays more of a factor in glacier retreats and advances than scientists previously thought. "In the long run we’ll probably have to raise our predictions of sea level rise again," Willis told the AP.